One of two aged unlined concrete waste water tanks with severe corrosion of the concrete wall substrate. 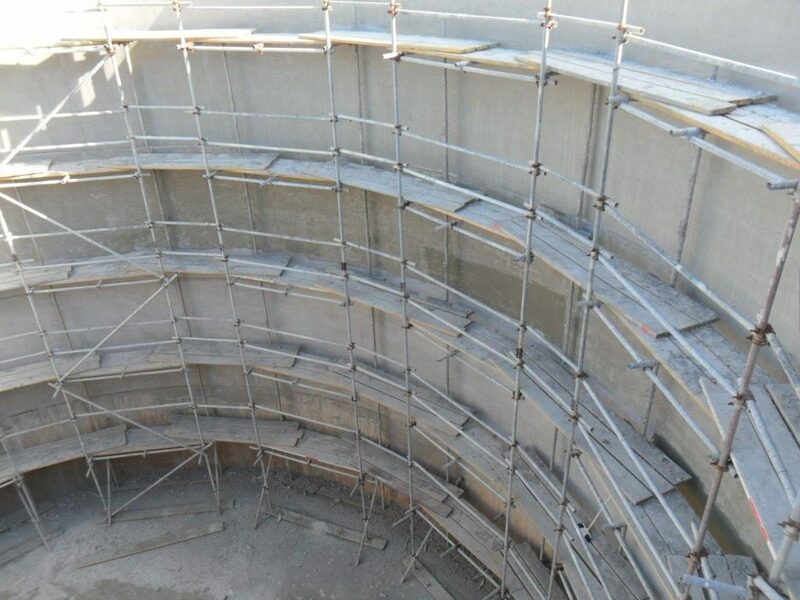 The concrete surface was cleaned, high pressure water blasted and the biogenically affected concrete treated. 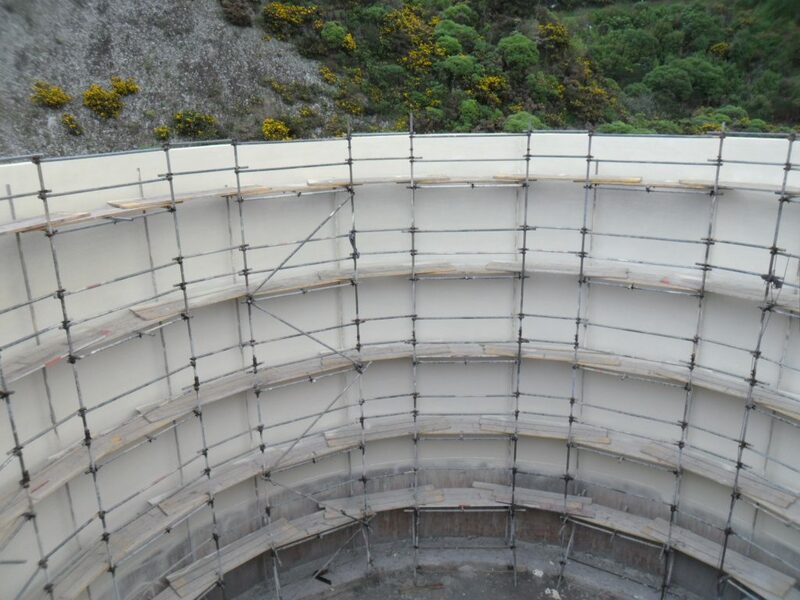 Repairs were then made to the concrete substrate prior to priming and spray application of the RhinoChem 2170 chemical and abrasion resistant polyurethane protective lining.